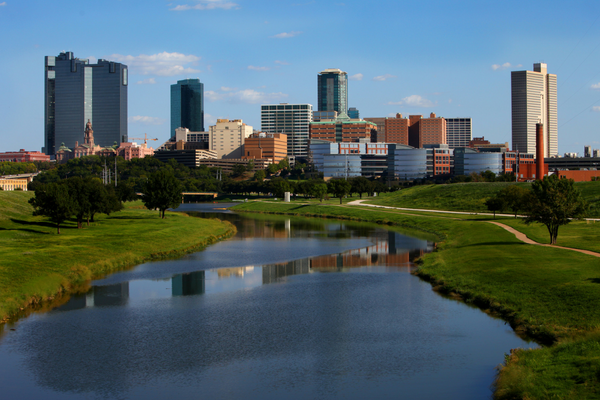 Downtown Fort Worth is booming – not only as a place to work, but also as a place to live, according to a new report. The study, by Downtown Fort Worth, Inc., found 1,516 new apartments and condos were under construction or completed last year – a 36 percent increase. It's a vibrant downtown. It's safe. There is so much to do." "It's a vibrant downtown," said Ruth Ann Hodges, who moved into a second-floor condo nearly seven years ago. "It's safe. There is so much to do." The apartment occupancy rate was 96 percent – even with the larger number of units. Interestingly, only 15 percent of people who live downtown also work downtown, the report said. New residential and office buildings are going in. Downtown saw $466 million in new construction permits from 2015 to 2017. One large company, XTO, is closing its operations downtown. But Andy Taft, president of Downtown Fort Worth, Inc., said he expects some of the oil company’s offices will be replaced by condos. Some 7,793 people live downtown now, the report found. “It’s not going to be long before we have 8,000,” Taft said.